Foxes are the wild animals and a canid family member of carnivores that includes wolves, foxes, jackals, coyotes, and domestic dogs. And they are closer to Dogs and reflect couple of similar traits and behavior. Foxes are one of the rare canid species that have many cat-like characteristics. 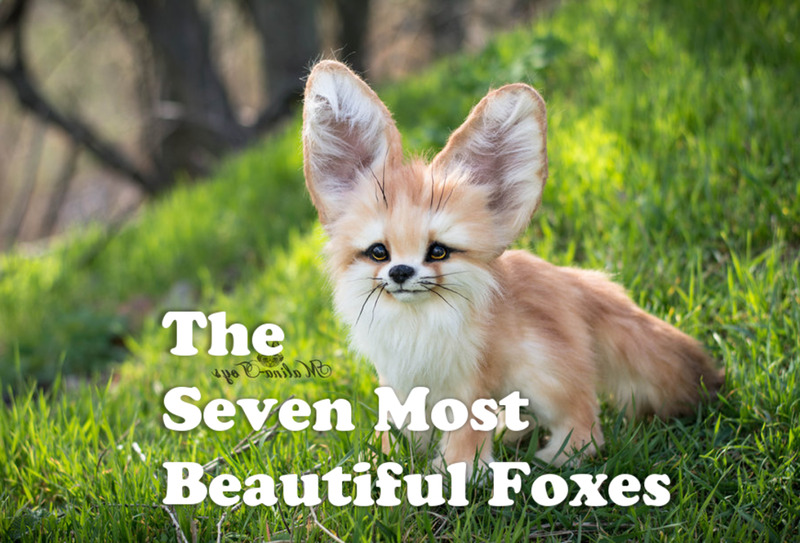 The cat-like traits of foxes are due to convergent evolution like the wild goat and dear or birds and bat. 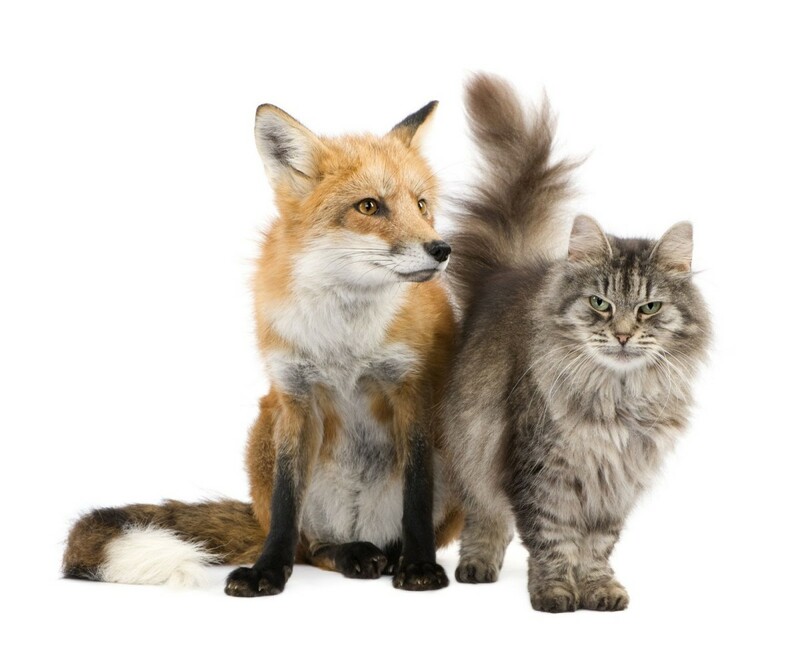 These are the 10 physical and behavioral similarities in cats and foxes. 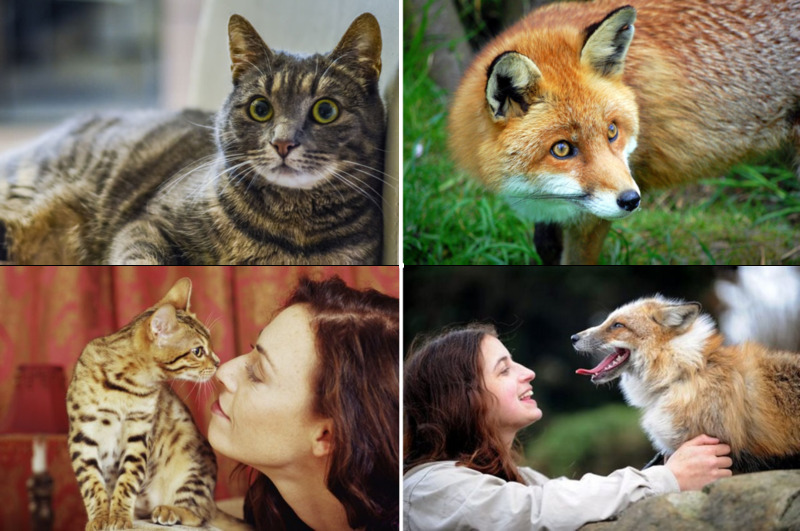 Do you like an Exotic Pet like Fox or Feral Cat? 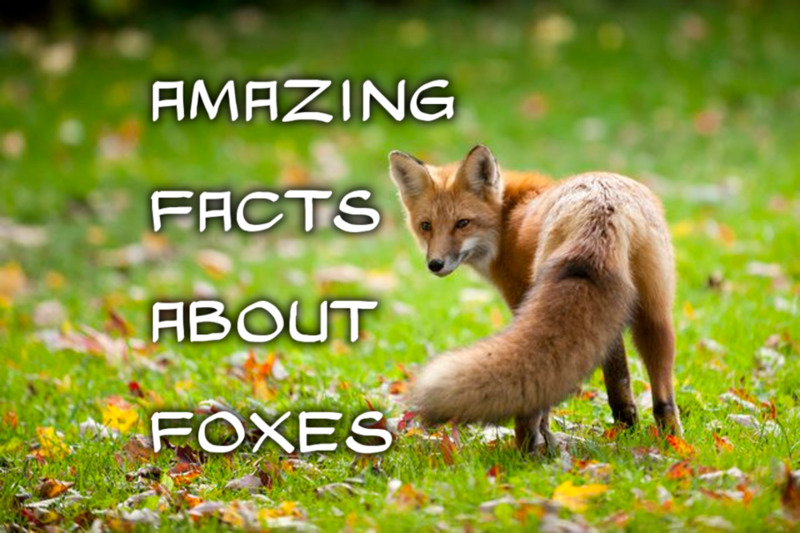 Foxe and cat (especially feral cats) are the wild animals that can be kept as pets. Nowadays, the demand for exotic pets like wolves and foxes are growing, and many people like them as a pet. 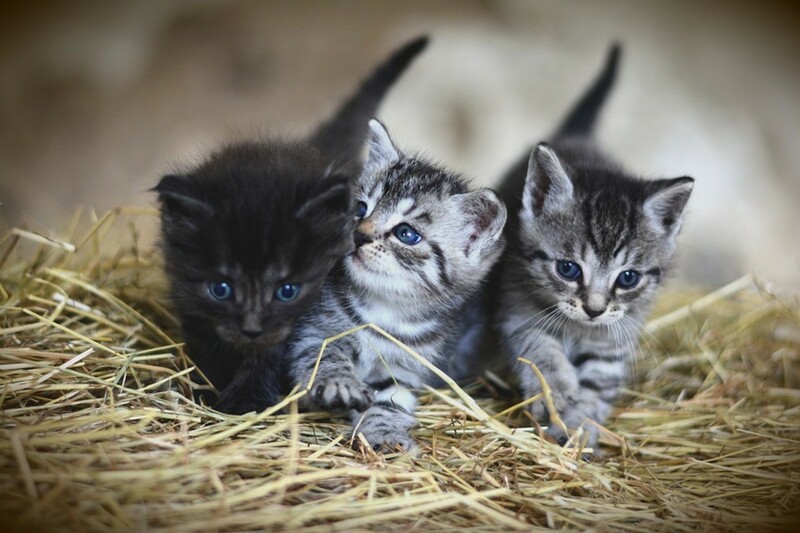 They are playful, curious, active and energetic animals that make good pets and reliable with humans, but they must be well socialized at early age. 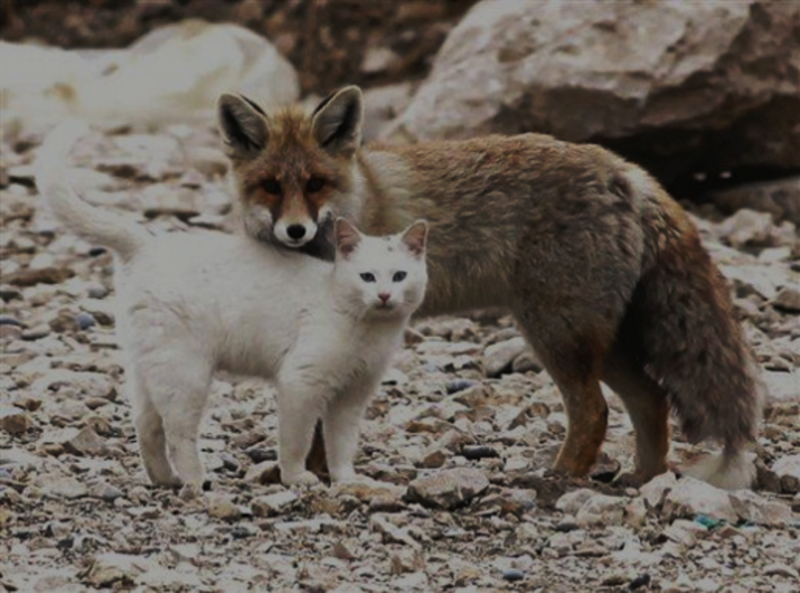 Wild Fox and free roaming cats are little unconventional and require little more attention than domesticated dogs and cats. The both are natural hunters and you can observe them, always stalking insects, cockroaches, mice and their scent will scare away rodents. Because of their hunting nature and talent, they can be the treat for small pets. And they are less reliable with other small pets (especially feral cats) like bird, fish and rabbit. But if socialized at early age, they go well with other pets. 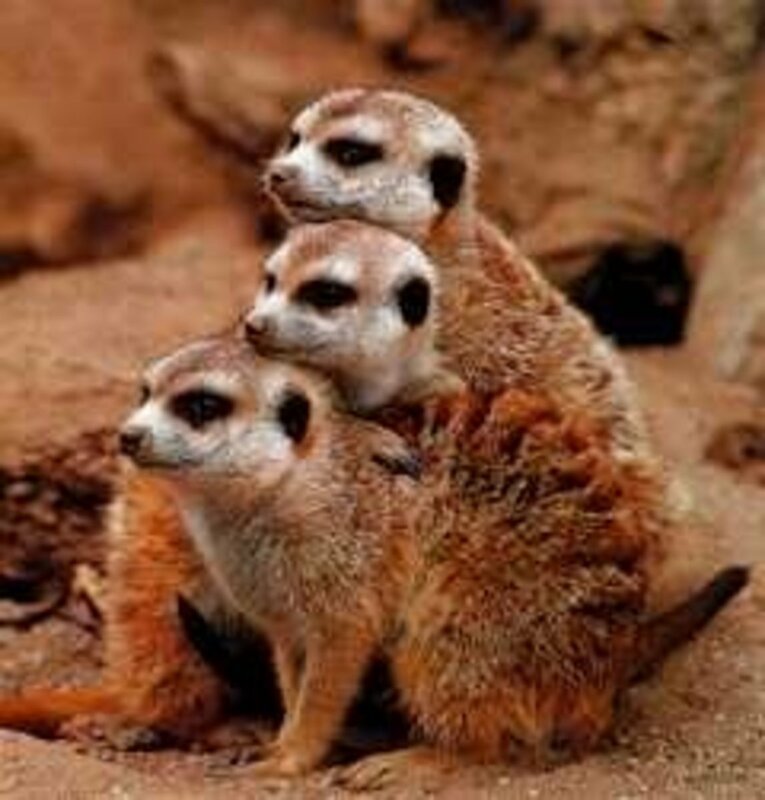 There are many examples when they live together with other small pets and are very friendly too. The animal's eye contact with human and eye movement are the ways of communication to express their feeling and to show affection. Domesticated Dogs and some other pets like horses are more likely to make eye contact with the human. But the Fox and Cats are the shy animals, and usually they avoid making eye contact. 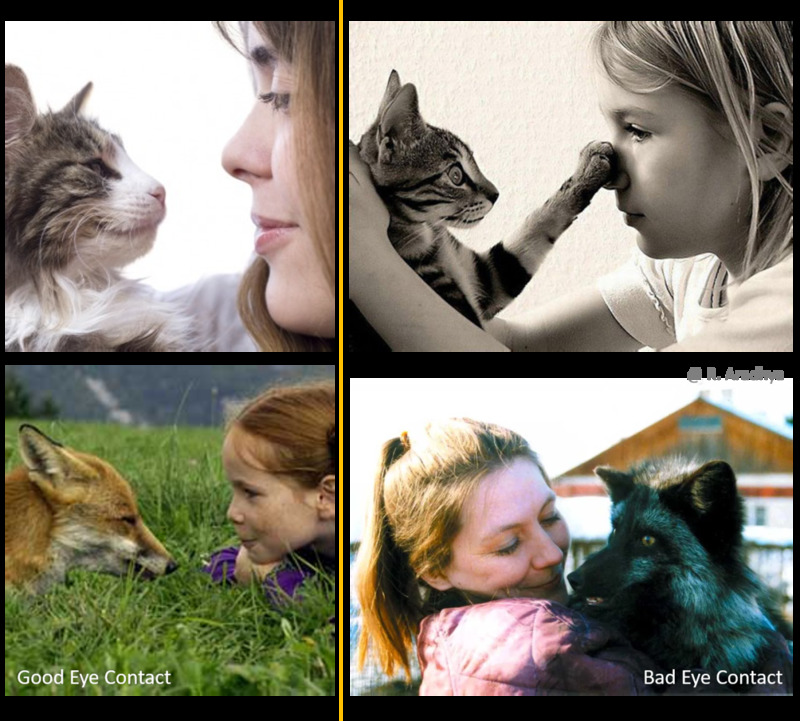 Pet’s eye contact and eye movement are the ways of communication that they use to express their sentiments. You may witness the communication and well-being of your pet by looking their eyes and reaction at eye contact. 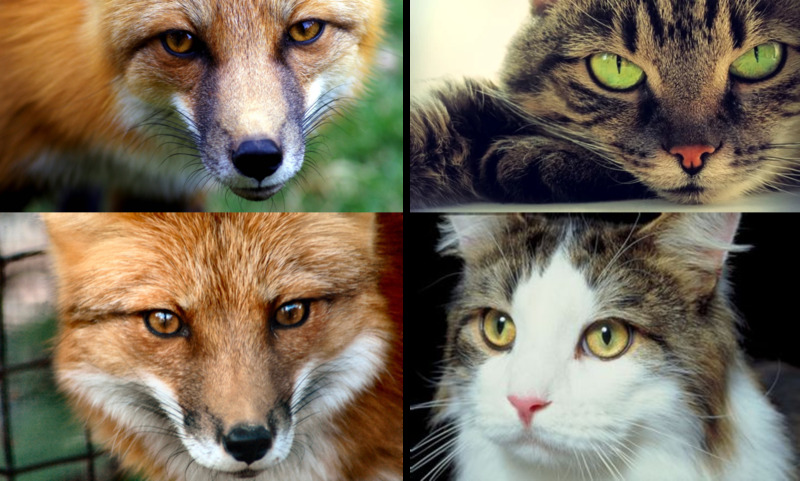 The Cat and Fox have similar response to express their feeling at eye contact. If they avoid making eye contact, means not comfortable with your company. Looking calm and often blink their eyes, means they are communicating affection. If making eye contact starved of sense, can be a threat. Fox and Cats are Nocturnals that became more active at nights and like to hunt at nights. Foxes are nocturnals that became more active at nights, like cats also they hunt at nights, by stalking and pouncing on its prey, like cats. 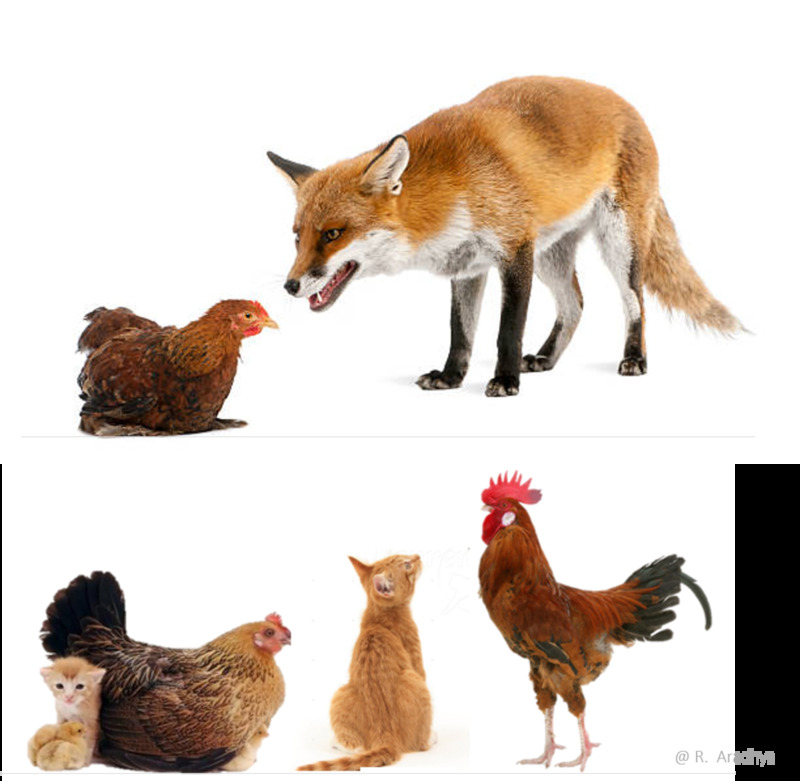 The Fox and cats have the compass-like sense of direction, Foxes uses their sense to identify the prey at hunt and cats use their magnetic sense during poop. 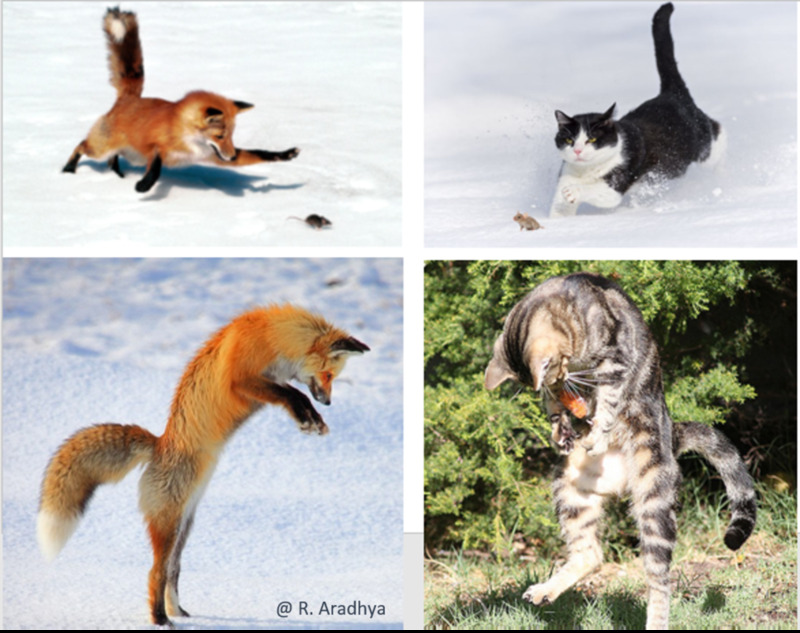 The fox and cat have the sixth sense of Earth’s Magnetic fields, firstly, this was observed by the Robert Krulwich ( Czech scientist Jaroslav Cerveny) that the red-fox mostly jump in a north-easterly direction to hunt their prey in the snow, during the winter. They use compass-like sense of direction to identify the prey. 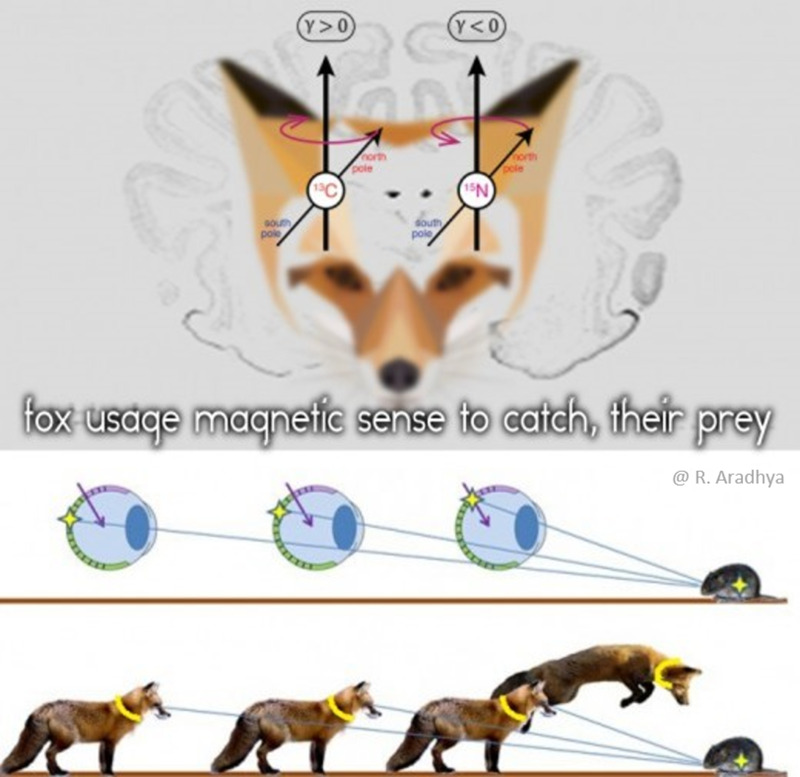 Dogs, Cats and some other animals also have the sense of magnetic field. 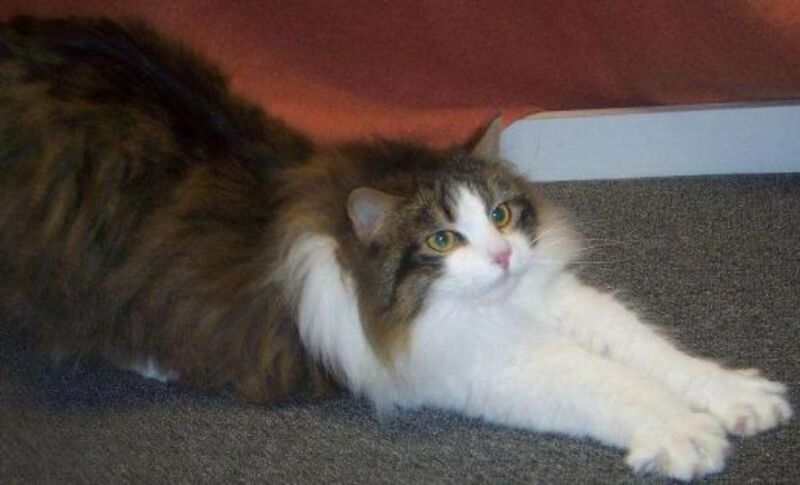 Cat used the sense of magnetic field to align its body to north-south direction, to poop. 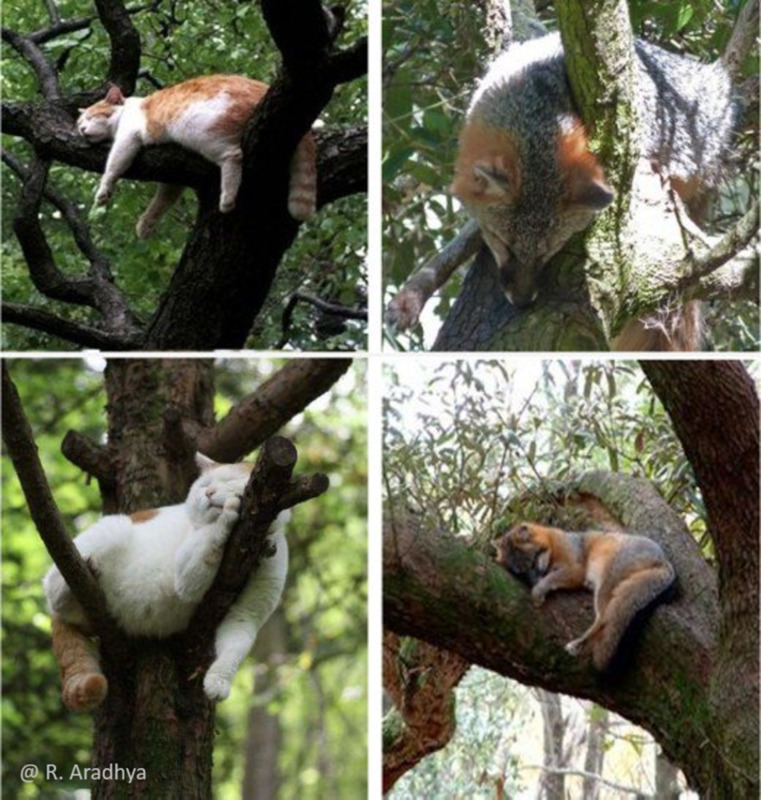 The Foxes are the only canid members that can sleep on the tree like cats and Gray Foxes are the most skilled tree climbers. The most of the foxes are able to climb on the trees but the gray foxes are the most expert tree climber. They are capable to climbs 90-degree tree trunks and can make its den 30 feet off the ground. 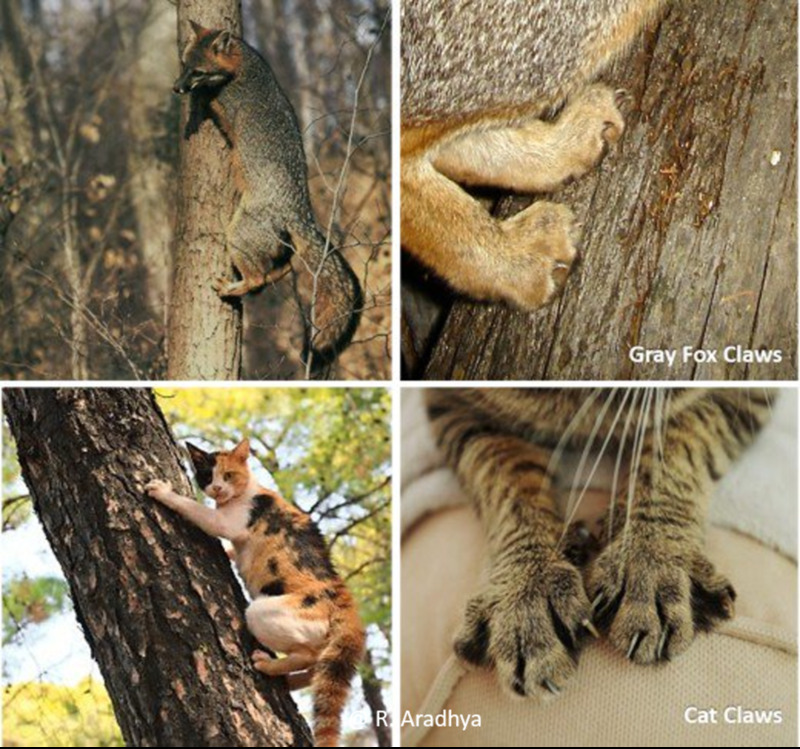 The Cats and Foxes retract their Claws in similar way to climb on tree. 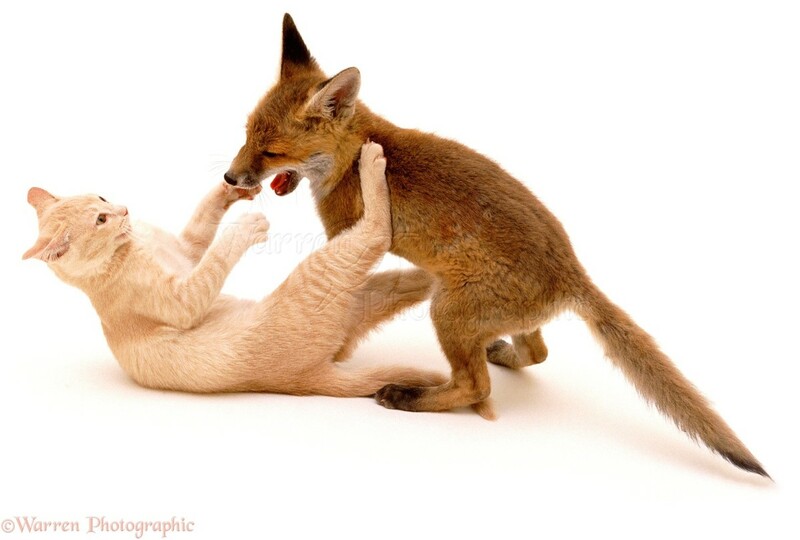 The fox and cat claws are similar, they both have strong, spongy and flexible claws and like cats, foxes are also capable of retracting their claws like cats and to climb on the tree. The only physical difference in their claws is the claws of foxes are little bit large and stiffer than cats. The eye movements of the animals are their way of communication and reflect their mind stage. But some animals like foxes and cats, also move their ears that express their feeling and mind set. 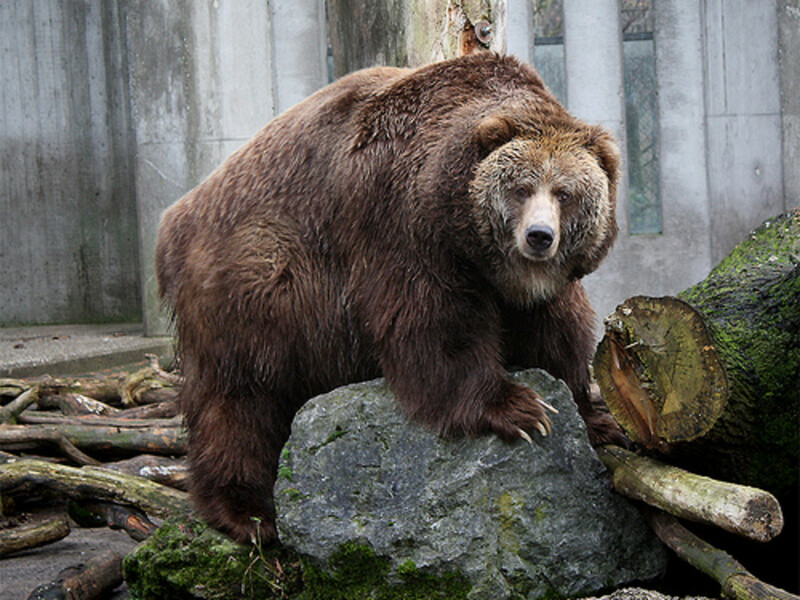 Usually they erect and bend their ears to the front, in a position that looks like they are covering their eyes to avoid any destruction to concentrate them. You know when they make eye contact with humans and blink their eyes, that’s a call for love. But at the same time, they always drop their ears downwards. Foxes hunt their prey, by pounce and jump to seize them like stealth hunters and bite to kill. Usually the canid members like wolves, jackal, wild dogs and coyotes take down their prey by grab and shake the prey or by nibbling the neck of the prey, but the hunting technique of foxes is more likely to cats. They hunt by pounce and jump to seize their prey like stealth hunters. Unlikely to other canids, foxes do not hunt in a pack rather they hunt in a solitary manner. 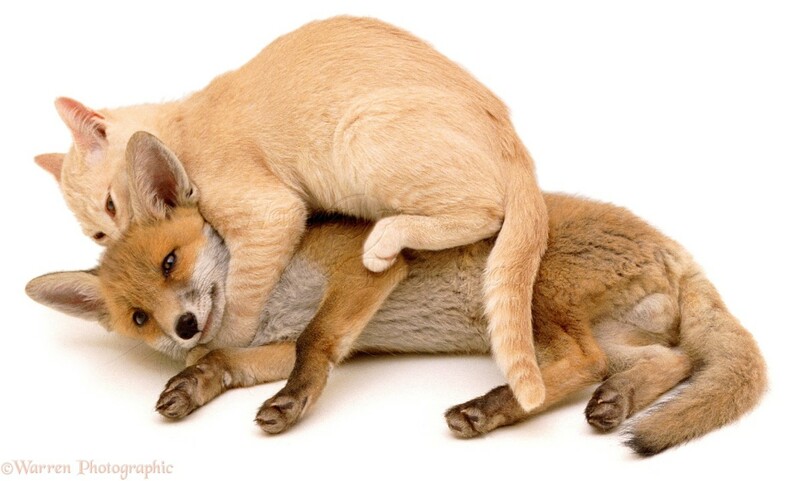 The fox and cat, both hunt small and same prey like rabbit, mice, birds, and fish. And unlikely to other canids, foxes do not hunt in the pack rather they hunt in a solitary manner. Though sometimes foxes make a pack to hunt bigger preys. 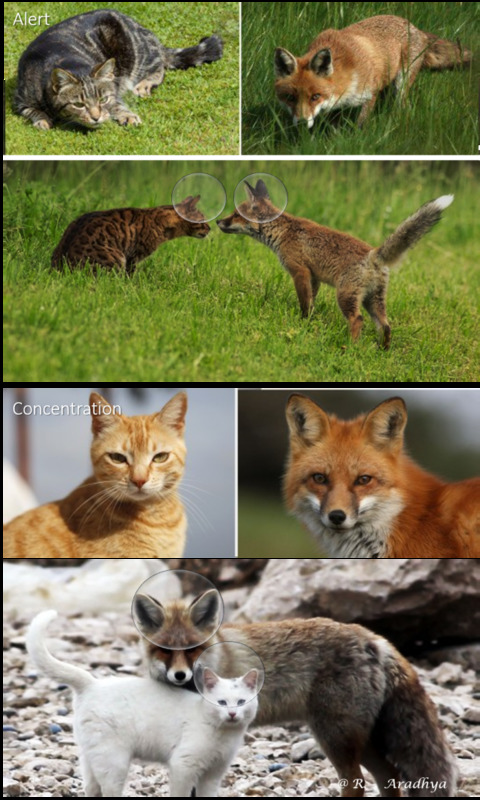 The fox and cats have optical structure and vertical pupils like other nocturnal hunters. Can see well in very dim light. If you notice the other canid eyes, like wolves – that have rounded pupils. But foxes have optical structure and vertical pupils like cats and other nocturnal hunters. And they can well in the very dim light. 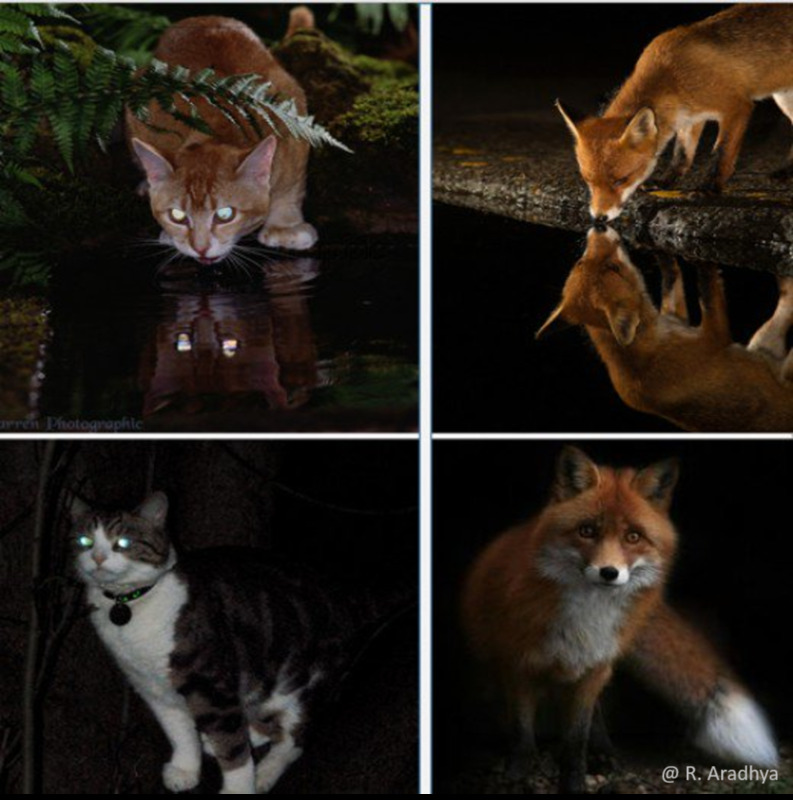 The eyes of nocturnal hunters like cats and fox are sensitive to light that need precise control over the amount of light reaching their eyes and optical structure and vertical pupils because that has an advantage over horizontal slits, to reduce the amount of light and provide the control of light that enters their eyes. The fox's whiskers are long and as sensitive like cat's and they also have whiskers on their chest that they use as “feelers” like cats. The whiskers of foxes are longer than a dog's whiskers and foxes are having whiskers located on their wrists also that they use as “feelers”, like cats. Foxes are the nocturnal hunters like cats and their whiskers and good eyesight helps them to locate prey while hunting at nights.